Bitcoin has quadrupled in value this year and hit a record high of $4,483.55 this week. From obscure origins as a cryptocurrency created by an anonymous computer programmer, bitcoin has defied critics and now costs more than gold. Its market capitalisation, or value, is bigger than that of PayPal, the ubiquitous online payment system. Should you be investing? Bitcoin is a cryptocurrency, which is a virtual currency that has a layer of encryption for security. It was born from the idea that money made legal tender by government and central banks, known as fiat money, is inherently unsafe. Backers of the notion tend to reference 1933 when President Roosevelt seized the gold belonging to ordinary Americans in an attempt to ease the Great Depression. A more modern example of governments’ manipulation of money is quantitative easing, or central bank money-printing, which critics say has pushed up stock markets and house prices, with the effect of making the rich richer. Even when economies aren’t in crisis, central banks change the price of money through interest rates, creating inflation, while banks lend more than they have, debasing currency. Bitcoin tries to circumvent these problems, first because it is not controlled by powerful institutions — it is supported by a network of enthusiasts — and second, because there are a finite number of bitcoins, 21 million. Bitcoins are created by computers that solve complex puzzles and are rewarded with coins, a process called “mining”. It gives the currency a kind of worth. Bitcoin was released during the financial crisis in 2009 by a person calling themselves Satoshi Nakamoto. It is a currency, but that’s only half the story. Bitcoin’s underlying technology, called blockchain, is considered revolutionary and banks are pouring money into researching how they can utilise it. Blockchain is a digital ledger that publicly and permanently records transactions in bitcoins, which leave a digital footprint. This kind of ledger gets around the need for a trusted third party, such as a bank or clearing house, to oversee a money transfer, which is the system we use at present for digital transactions. If you send money using fiat currencies, you are limited in how much you can send; small or frequent transactions are uneconomical because of the fees charged. With no third-party authorisation, bitcoin transactions can be made quickly and at a lower cost. Blockchain is managed by a network of computers; no one party is trusted to own it. It is called a “distributed ledger system” and the technology could be used widely in finance. Governments could even use it to set up online voting. Isn’t bitcoin used by criminals? The libertarian aims of bitcoin have been undermined somewhat because it became the payment of choice for purchases of guns and drugs on the “dark” web (only accessible through special software). Although the Blockchain ledger is public, the identity of the person behind a transaction is hard to trace. “The stain of association that cryptocurrencies have [with the dark web] is still visible. Most people assume it is some kind of scam,” says the author Paul Vigna in his book Cryptocurrency. Why has bitcoin’s price suddenly risen? It is still a niche currency. Many buyers are Chinese, looking for ways around strict government controls on capital movements. Japan recently legalised bitcoin as a currency and its main retailers have begun accepting it. 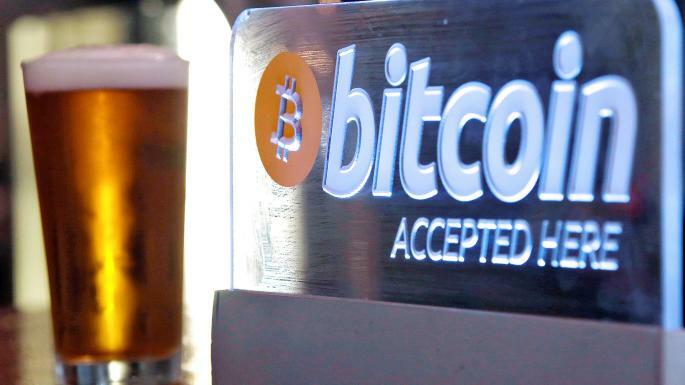 This sparked a surge of purchases of bitcoin in Japanese yen. A long-running dispute among enthusiasts about the future of the currency was resolved when part of blockchain was upgraded in August to make it run faster. A separate currency called “bitcoin cash” was also created. This prompted a surge in bitcoin’s value. You can buy bitcoins like any foreign currency, through an account with an online exchange. Two well-known ones are Blockchain.info and Coinbase. They charge a fee for buying. Bittybot is an online comparison site for bitcoin exchanges. Bitcoins are infinitely divisible into increments called satoshis. Today £10 would buy 0.003147 bitcoin. You store the bitcoins in an online wallet that you can access from your mobile phone. Touching your phone against a bitcoin payment terminal debits bitcoins from your account. There are also special ATMs dotted around the country where you can buy bitcoins with your phone wallet. Coinatmradar.com shows your nearest. Popular storage sites have been hacked — including the Japanese Mt Gox and Bitfinex in Hong Kong — with millions of dollars worth stolen. The currency is safer stored offline on a hardware wallet, similar to a USB stick. Two well-liked versions are the Ledger Nano and Trezor. In the US, big retailers such as Starbucks and Subway, the sandwich chain, accept bitcoin, while Europe is dotted with shops and bitcoin boulevards where vendors accept the currency. You could easily spend 0.0009377 bitcoins on a coffee at many outlets, for example. However, the UK lags behind when it comes to places to spend bitcoin. You could buy bitcoins as an investment, but given that the price has quadrupled this year and is prone to sharp falls, caution is advised. Sheba Jafari, the chief technician at Goldman Sachs, believes the cost of a bitcoin could rise to $4,827, about 7 per cent higher. “Whether or not you believe in the merit of investing in cryptocurrencies, real dollars are at work here and warrant watching,” Goldman Sachs analysts say. There are 10 digital currencies with a market value of more than $1 billion, according to Coin Market Cap. Bitcoin’s closest rival is ethereum and its price has also gone bananas, rising over 2,500 per cent in the past 12 months to $296 per ether, but it is similarly volatile and recently crashed 20 per cent in a few hours. Ethereum uses blockchain technology, but its version is considered by some experts to be superior, with greater potential applications. JP Morgan, Microsoft and a number of banks have formed an alliance looking at how they can utilise ethereum’s blockchain. There are a couple of bitcoin investment funds which could be an alternative to buying the currency directly. The bitcoin investment trust run by Grayscale has a 2 per cent annual fee. Hargreaves Lansdown offers Bitcoin Tracker One, an exchange traded note (ETN), run by Sweden’s XBT Provider. The ETN trades on the stock exchange, so can be bought as shares, but it is denominated in Swedish krona, so there is additional currency risk to bear in mind.